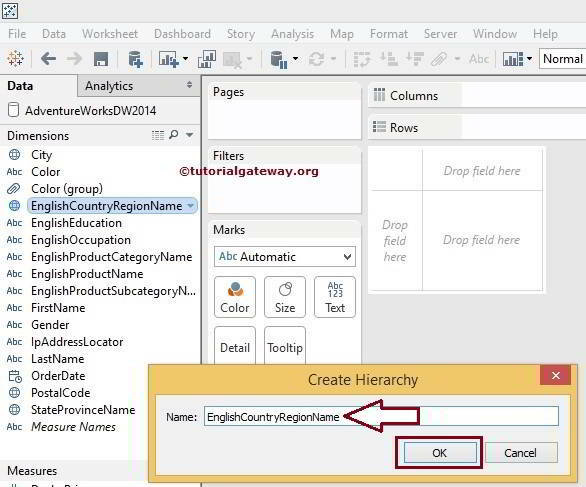 Tableau Hierarchy provides drill-down action to the Tableau report. 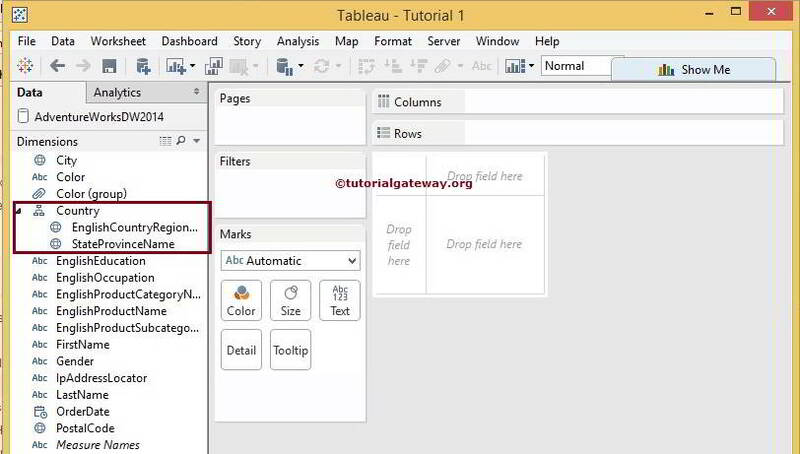 With the help of tiny + and – symbols, we can navigate from a higher level to nested level or lower level. 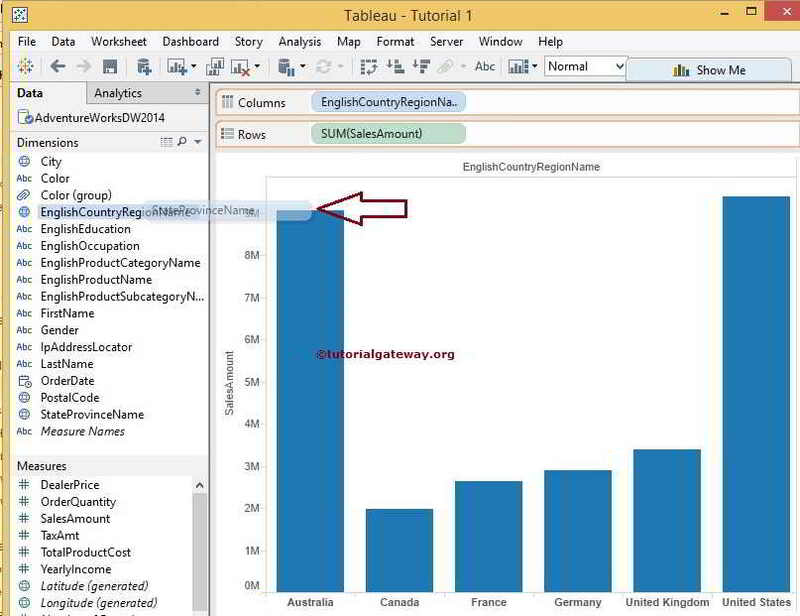 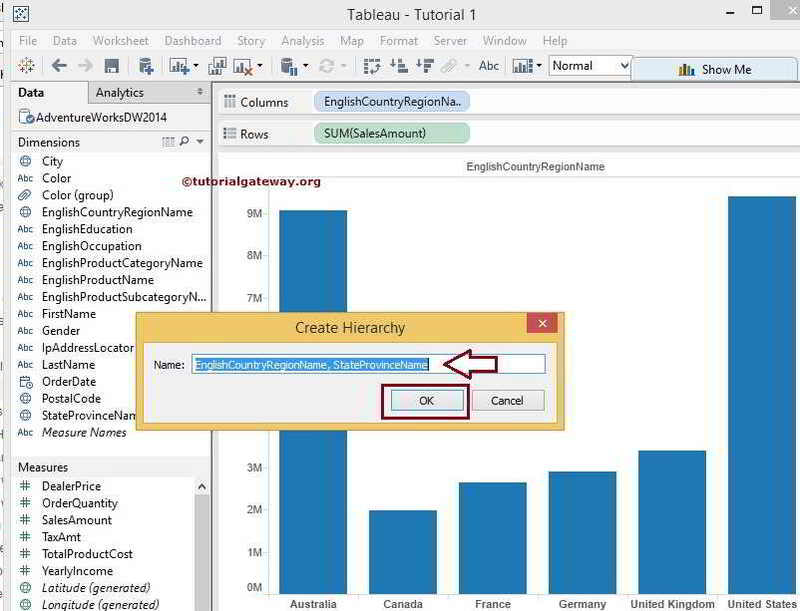 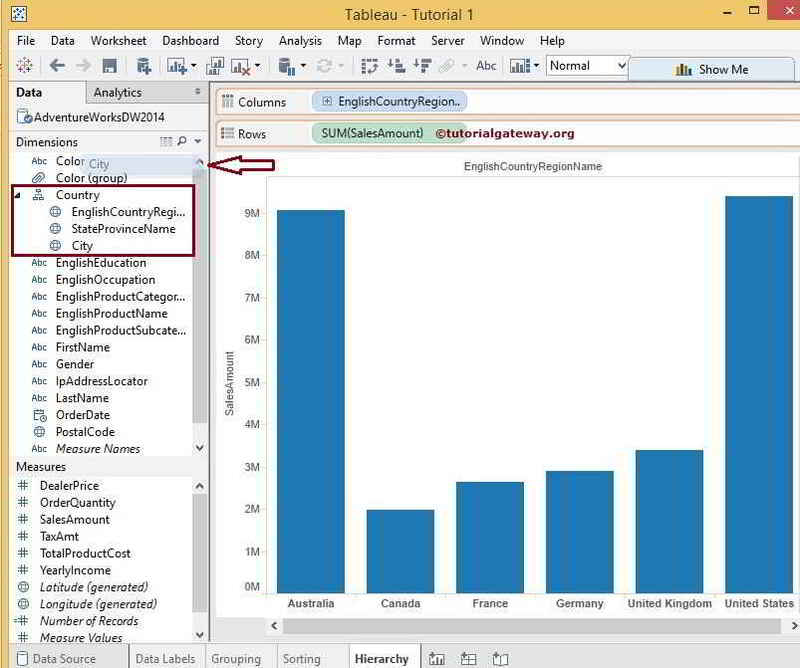 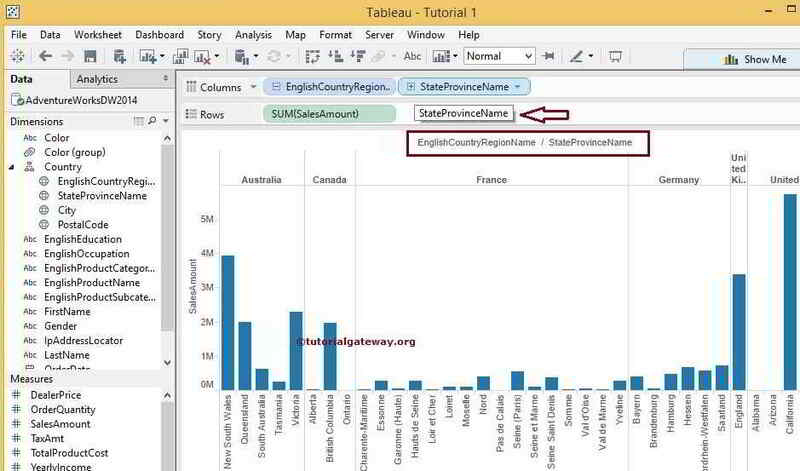 In this article, we will show you, How to Create hierarchies in Tableau reports with example?. 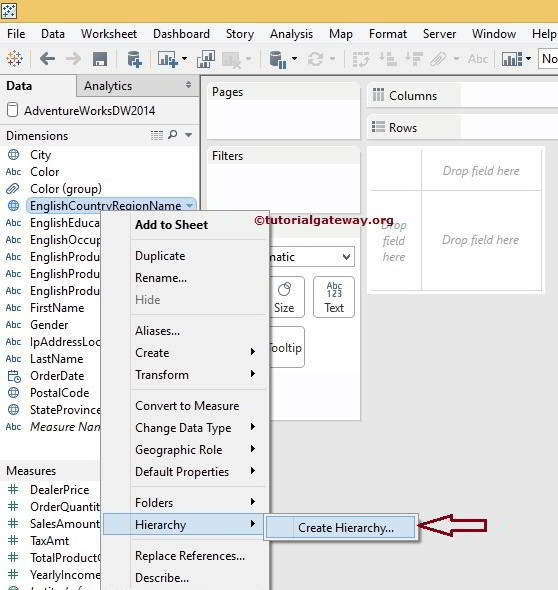 There are multiple ways to add members to hierarchies in tableau. 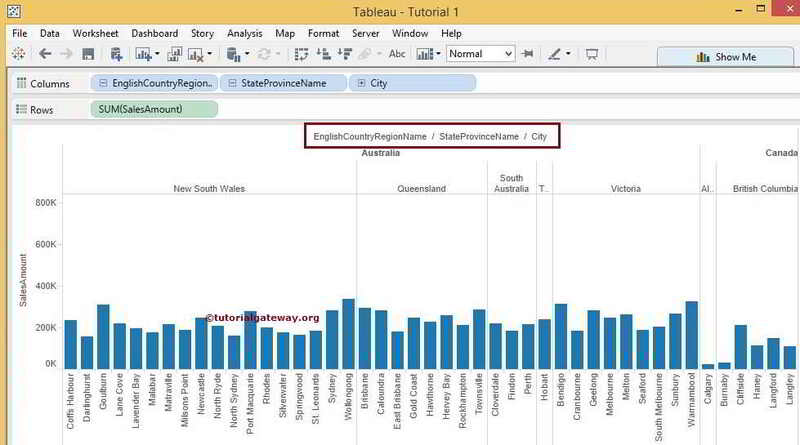 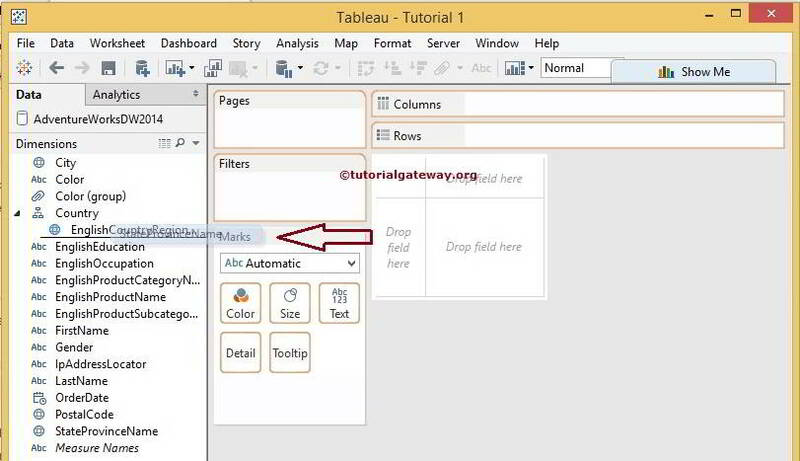 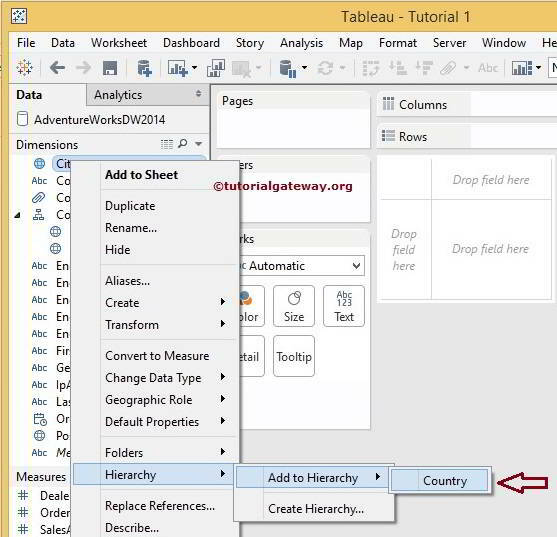 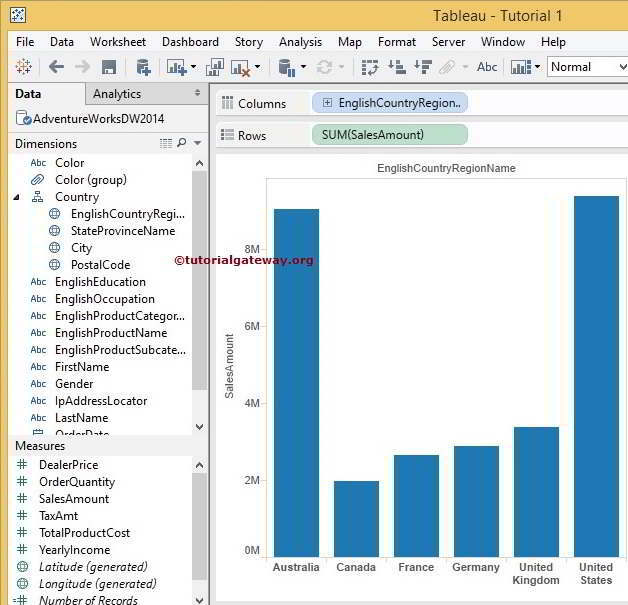 The first method, Drag and drop the required dimension to the newly created hierarchy in Tableau. 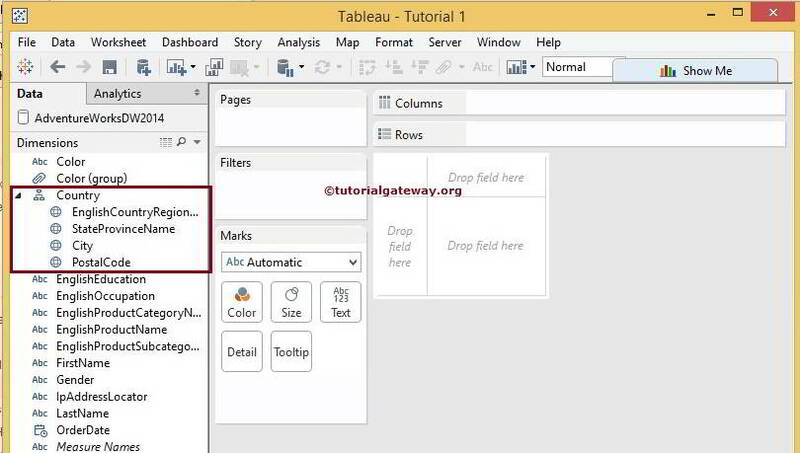 While dropping, it will show a horizontal line representing the member position. 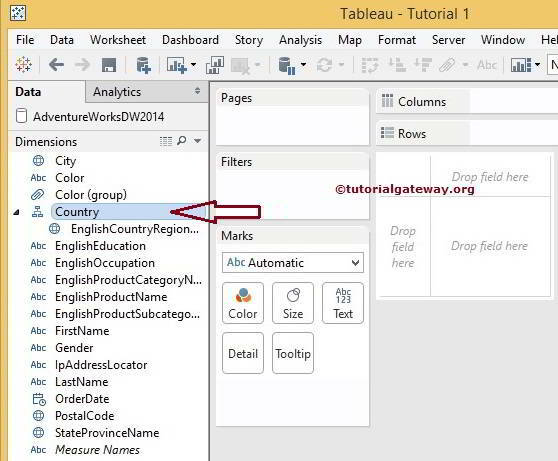 Once you click OK button, you can see the newly created hierarchy name with Country Name, State Province Name members. 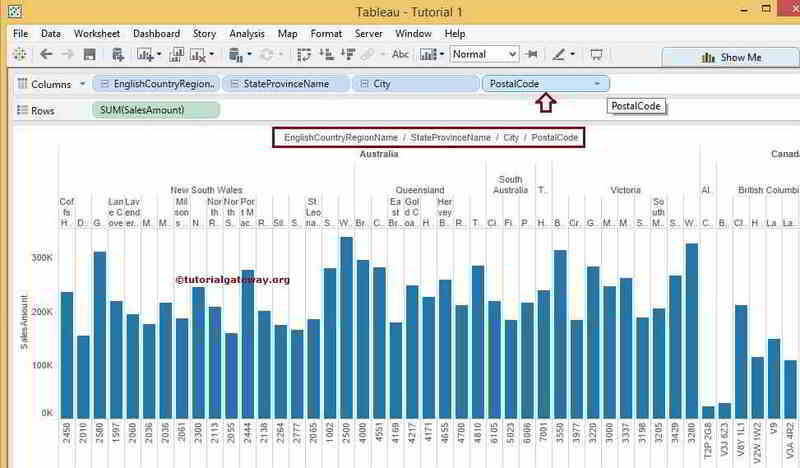 Similarly, we can add many more.